The original Rolex Explorer line dates all the way back to 1953, and can be considered Rolex’s very first professional sports watch. Although these rugged timepieces were intended for professional use, they lacked any specific features or complications that would make them specifically tailored to exploration or the outdoors. Instead, they were simply highly durable, self-winding watches that displayed nothing more than the time of day. 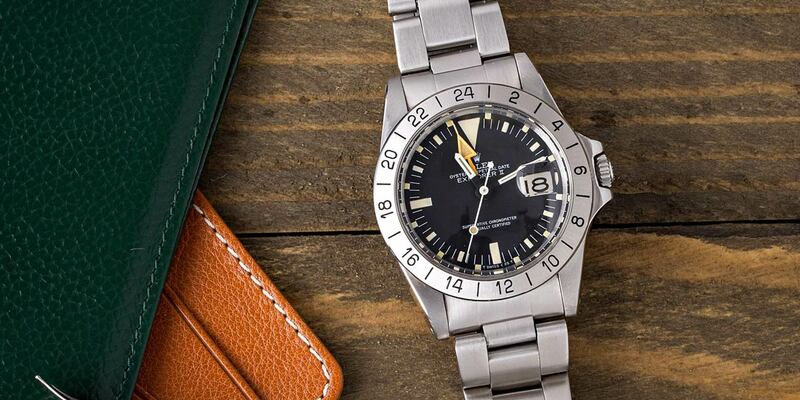 In 1971, Rolex expanded their Explorer line of watches with the release of the reference 1655. 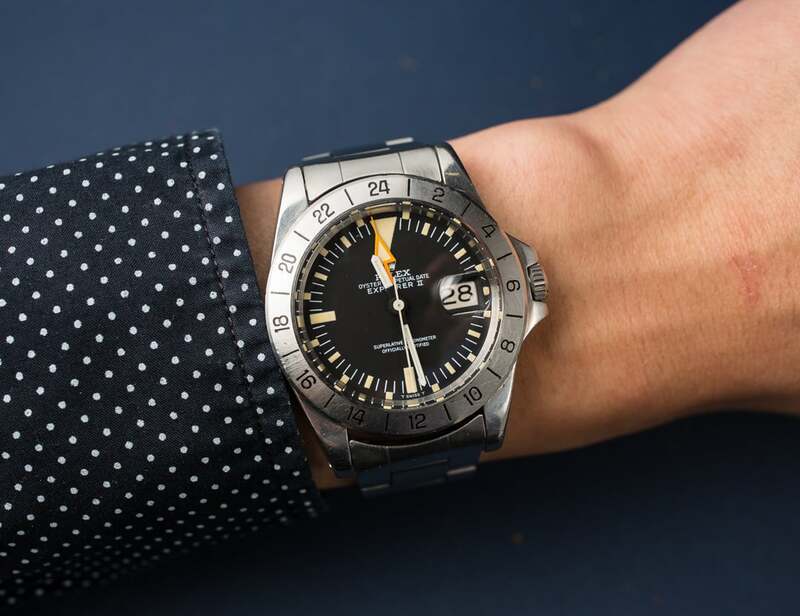 Rather than simply being a revised version of the existing Explorer watch, the reference 1655 was an entirely different timepiece; and as such, was given the “Explorer II” designation. Instead of replacing the existing Explorer, the reference 1655 Explorer II was to be offered alongside the traditional, time-only Explorer watch as a complementary offering within the Rolex catalog. Designed for speleologists exploring deep caverns below the surface of the earth, the reference 1655 was specifically engineered for those living and working for extended periods of time in low-light conditions. The reference 1655’s 40 mm stainless steel case was fitted with a fixed bezel with 24-hour markings, and a date complication was added so that its users could track the number of days that they had been below ground. Additionally, a large, bright orange, arrow-shaped, 24-hour hand was added to serve as a prominent AM/PM indicator, so that its users would not lose their sense of time after spending several days in total darkness. The Reference 1655 has a few unique iterations. To aid with the legibility of its 24-hour display, the dial of the reference 1655 was designed to have both 12-hour and 24-hour markings. Small luminous rectangles were placed along the minute track to correspond with the watch’s 24-hour hand, and those that fell on the position of the traditional 12-hour markings were made longer to aid with the legibility of its 12-hour display. Although highly innovative and functional, the dial of the reference 1655 drew criticism for being cluttered and difficult to read, particularly by those that were already accustomed to traditional 12-hour displays. 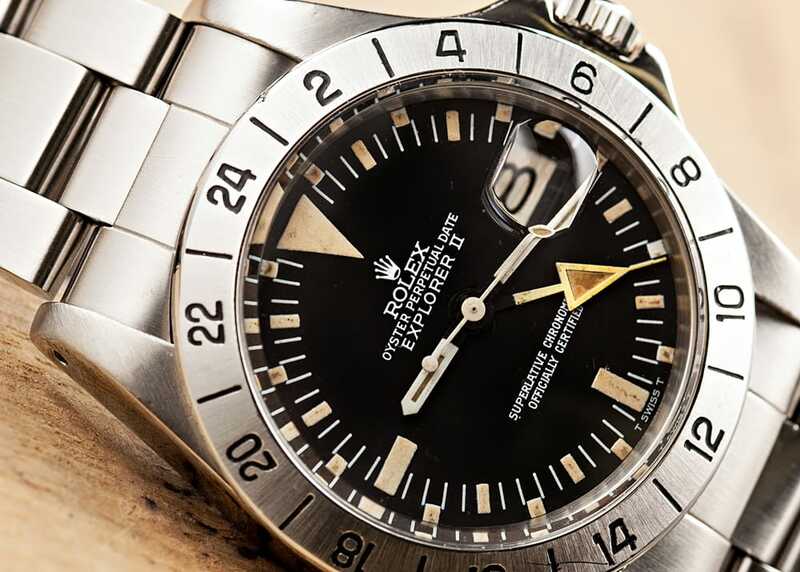 In order to provide the additional functionality of a 24-hour hand and date complication, Rolex fitted the Explorer II 1655 with the same 26-jewel, COSC-rated, caliber 1575 movement that they used inside their GMT-Master line of watches. To protect the movement inside, the reference 1655’s case was fitted with a thick acrylic crystal and a screw-down and case-back, which provided its users with 100 meters of water resistance. This watch was a helpful tool to those who did not have the option of seeing the light of day. Due to the watch’s large, arrow-shaped, 24-hour hand, the reference 1655 earned the nickname, “Freccione” among many Italian dealers and collectors. Additionally, the watch also acquired the “Steve McQueen” nickname due to a Rolex advertising campaign that featured the famous Hollywood actor. However, it should be noted that no proof exists that McQueen ever actually owned or wore this particular model; instead most photographs show the actor wearing a reference 5513 Submariner in his personal life. replaced by the reference 16550. The new generation of Explorer II watches featured sapphire crystals and a handset that more closely resembled what Rolex was using on their GMT-Master II line of watches. Additionally, the unique dial from the reference 1655 was discontinued and replaced by a one that only had 12-hour markings and more closely resembled the dials on the rest of Rolex’s other sport watch lines. While endorsed by Steve McQueen, this watch has never been spotted on him. The reference 1655 is important because it was the very first Explorer II, and no other watch that Rolex has ever produced looks anything like it. 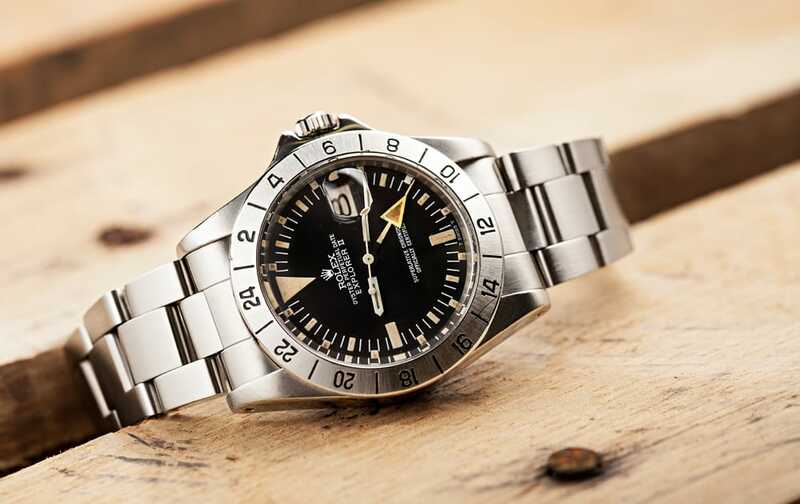 Subsequent generations of the Explorer II most closely resemble GMT-Master II watches with fixed, stainless steel bezels and the option of a white dial; however the reference 1655 was a timepiece entirely of its own design, and represents the original, unadulterated idea that Rolex had for the Explorer II watch. Although it was relatively unpopular while it was in production, the reference 1655 is now highly sought after by collectors due to its unique appearance and important position within Rolex’s long and illustrious history.